Jenesis Lipoplasty & Hair is a center specialized in taking care of the needs of its patients by performing a variety of procedures. 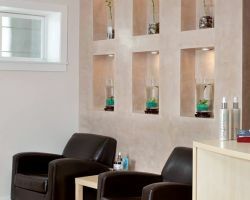 For laser hair removal in San Francisco, CA, this company has a range of lasers that they use to accommodate for all skin types and sensitivities. By disabling the hair follicles with their lasers, the expert technicians are able to reduce the appearance of hair and further hair growth. The benefits of having this procedure done for a special occasion like a wedding are endless. SF Aesthetics is a San Francisco laser hair removal service that truly sets the standard for customer care and professionalism. They make their clients feel comfortable by first letting them know that having unwanted hair is a common problem that can easily be dealt with. Whether you want lip hair removed or your bikini line touched up, this company will handle any removal with the appropriate laser for the area and your skin type. You will feel totally at ease and will truly be in the very best hands. Using lasers to remove unwanted hair is becoming more and more common among those who want to prep their entire bodies for their wedding. 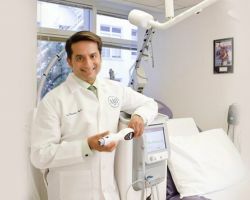 Kenneth Bermudez, MD uses the very latest technology to provide his patients with the procedures they need to eliminate hair under the arms, on the face, and even provide a Brazilian treatment. At the first consultation, the doctor will explain all of the options you have, how many treatments you will need, and answer any questions to make you feel completely comfortable with the procedure. The California Skin Institute is a medical center with some of the most highly trained dermatology professionals from laser surgeons to cancer specialists. This is not your typical beauty center as this establishment treats the problems of patients in the most medical and effective way possible. Comprehensive skin services are exactly what you will find here. There aren’t any gimmicks or special deals like those that would be found at salons, only concise and professional medical care. Going here means getting the best hair removal treatment in California. Dimitra’s Skin Care and Medi-Spa is more of a salon or oasis for patients to come and deal with cosmetic issues in a safe and reliable environment that is comfortable. They know that women are often plagued by unwanted hair, which is why they use the latest lasers to deal with this hair in various areas of the body. With professionals who are trained and experienced in using the machines as well as in making clients feel informed, you can be sure that you will enjoy your experience at this salon. Unwanted hair is a problem that plagues many, but it doesn’t have to be a burden anymore when you use the laser hair removal services at the Bay Area Laser Institute. That is why this medical treatment center offers safe hair removal for clients that will see amazing results in just five to ten sessions. Though they do not advertise the treatment as permanent, they have had many clients report that their hair did not grow back after having several treatments.